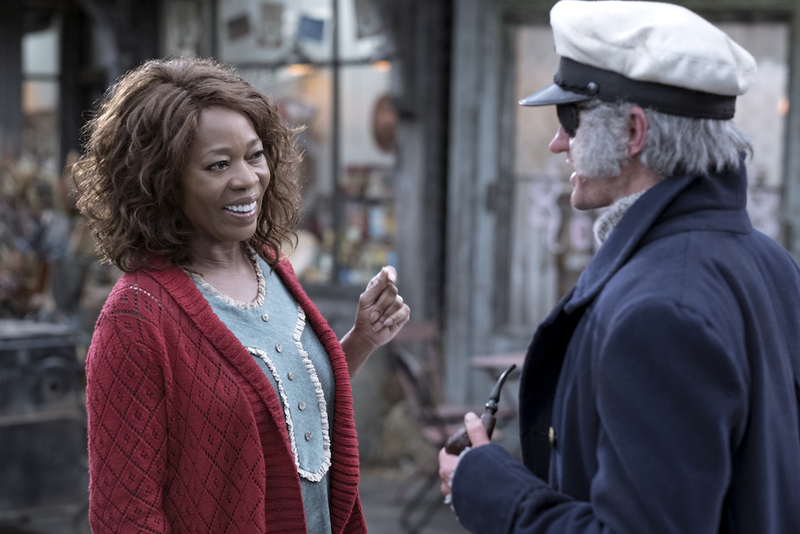 Director Barry Sonnenfeld encouraged a vaudevillian vibe to the sets and makeup for this dark and grim Netflix series. 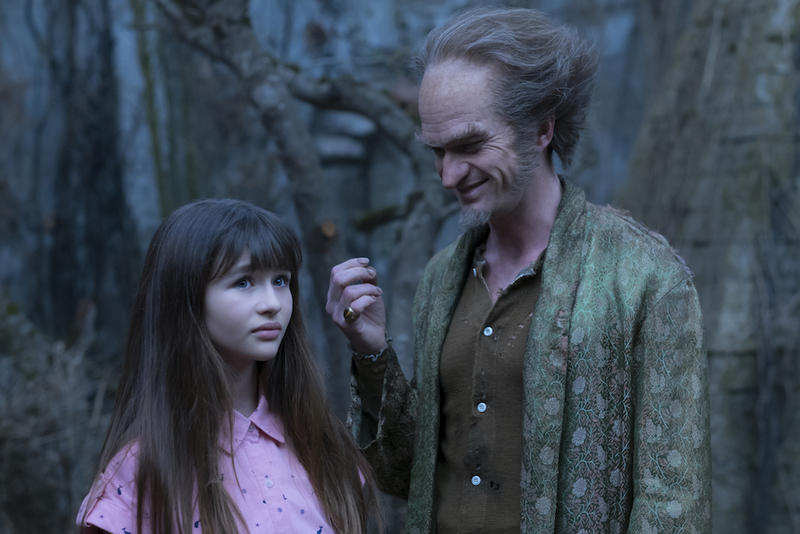 Director Barry Sonnenfeld’s re-imagining of “A Series of Unfortunate Events” took dark and creepy and turned it into a vaudevillian tour de force for Neil Patrick Harris as Count Olaf. And production designer Bo Welch and special effects makeup designer Bill Terezakis brought an imaginative and spirited charm to the proceedings. Welch looked at abandoned architecture from around the world and cherry-picked some concepts, but kept them non-specific, trying not to lean too heavily into Victorian or Gothic. Half the time it was like theater, redressing the same one-wall set and shooting again a few minutes later. For the bank office of Mr. Poe (K. Todd Freeman), who looks after the financial interests of the Baudelaire kids, Welch squashed him in a tiny and narrow set, with walls filled with file cabinets. 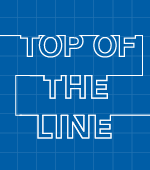 “That set was great to shoot in because it’s north/south on an axis,” said Welch. Since Uncle Monty’s passion is reptiles, Welch put him in a period, two-story box that’s attached to a much larger green house in the back. All the motifs, of course, are driven by reptiles, including snake wallpaper, which they designed in-house and printed out. For Aunt Josephine’s dilapidated house that’s about to fall into Lake Lachrymose, Welch played off of her phobias. “We just made it very shaker-like and stripped down and austere, because if you’re phobic you don’t want electricity, dust, or sharp objects,” said Welch. 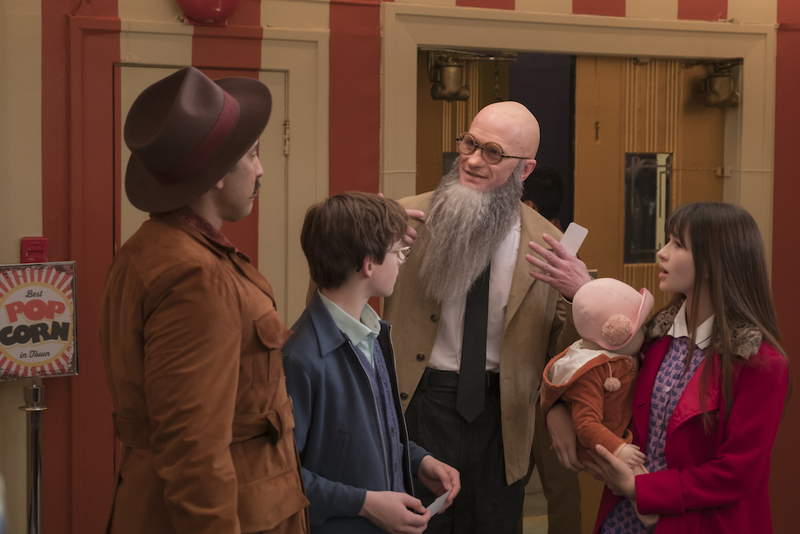 Even though everyone can see through Count Olaf and his silly disguises, he’s oblivious to his bad acting and transparent villainy. Still, there’s a retro sense of theatrical fun to Harris’ performances, and makeup designer Terezakis sculpted a character with many whimsical faces. After a great deal of testing for Olaf, Terezakis settled on a forehead piece, a mid top-of-the-head piece to accommodate the thin wig and crown area, and a prosthetic nose. And, after sculpting about six different noses, he ended up with streamlined work of bridge and nostrils. “The nose, in particular, evolved into what would work with Neil Patrick Harris’ expression,” said Terezakis. When posing as Uncle Monty’s new assistant Stephano, Harris was given a new nose, brow covers and glasses with bottle lenses. However, the actor took one for the team by shaving his head to look the part more believably. “He did it without hesitation during the summer shoot,” Terezakis said. Captain Sham, the grizzled pirate, was the most elaborate disguise, not only requiring full prosthetics but also a peg leg. That was a concern so Terezakis and his team made a harness device that allowed Harris to bend his leg comfortably within a padded shell. And when Harris put it on for the first time, he opted to walk from his trailer to the set to immediately get into character. Naturally, Olaf couldn’t resist getting into drag as Shirley, a ’50s-era receptionist. She wears black horn-rimmed glasses and lots of white makeup. “To make it quirkier, we allowed stubble to show through the makeup,” said Terezakis, who liked Harris’s old-style, vaudevillian humor. 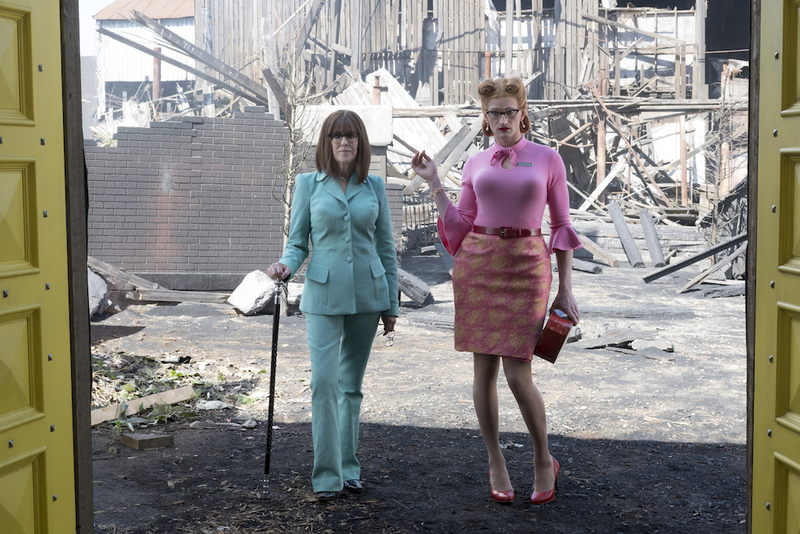 “Each take had a slight curve to it that would bring it away from being redundant,” he said.